HiDow's innovative devices in TENS and EMS technology. fast-acting solutions to your aching muscles. Order yours today! these devices are highly innovative yet very simple to use. Receive instant relief using a complex array of bio-electrical signals personalized for pain management. HiDow increases your exercise tolerance by surging oxygen supply to the muscles. See an improvement in your range of motion as it strengthens and stimulates targeted areas. Are you suffering from sore aching muscles, stiff neck, back pain, or stress? Get instant relief in the comfort of your home with HiDow. TENS work with low-voltage electrical pulses that interrupt pain signals and stimulate the production of endorphins. When you want fast-acting relief, HiDow is extremely effective, simple to use, and cost-effective. It is a drug-free solution minus the side effects. Begin your journey with HiDow as it recovers your muscles with its customized pain management solutions. a competitive edge to perform at your maximum level. pain signals and stimulate the production of endorphins. and cost-effective. It is a drug-free solution minus the side effects. recommended by athletes, doctors, and everyday people. with its customized pain management solutions. in a decrease in muscle tension and improved physical activity. from the comfort of your home — on your own time. TENS is an alternative therapy that has been around for years and used to assist with several pain issues. Studied by physical therapists, pain management clinics and personal trainers since the 1960s, TENS units uses low-voltage electrical pulses to interrupt pain signals before they reach the brain through soothing pulses that simulate natural painkillers, called endorphins. What kind of pain conditions does TENS target? TENS provides pain relief for many different types pain issues, including, but not limited to lower back pain, stiff neck, and minor aches and pains. In addition, TENS is often used by fitness and sports enthusiasts to provide relief for post-workout pain or soreness and to help muscles relax and recover. 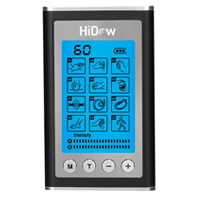 Using the HiDow TENS unit of your choice is easy. Gone are the days when these units were bulky, costly, and only available by prescription. 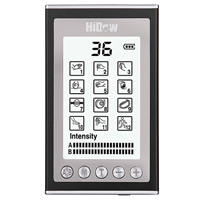 HiDow TENS units are a real game-changer: portable, hands-free and rechargeable with a streamlined, modern look. To get started, you simply connect the electrodes from the small, battery-powered machine to your skin, using reusable and self-adhesive silicon electrode gel pads as the conduit. By doing so, you create a circuit of electrical impulses that painlessly travel along your nerve fibers. Is it possible to customize the TENS unit? Many TENS units from HiDow’s product portfolio can be customized to your preferences, thanks to a variety of wavelength frequencies. Choose from intensities of current or even a stable flow of pulses. For optimal results, consult with your doctor to see which settings are the best for your pain management. Is using a TENS unit safe? 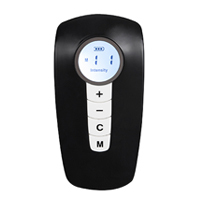 The TENS unit is generally very safe and relief is almost immediate. If you’re seeking pain management or fast relief, TENS can be a used in addition to other alternative remedies. Can TENS augment physical therapy? Absolutely. You can use TENS therapy between your physical therapy sessions, right in the comfort of your own home. 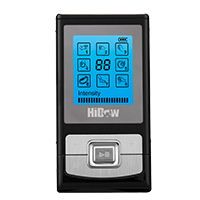 The HiDow TENS unit could even strengthen the results you get from your physical therapy by facilitating movement between sessions.